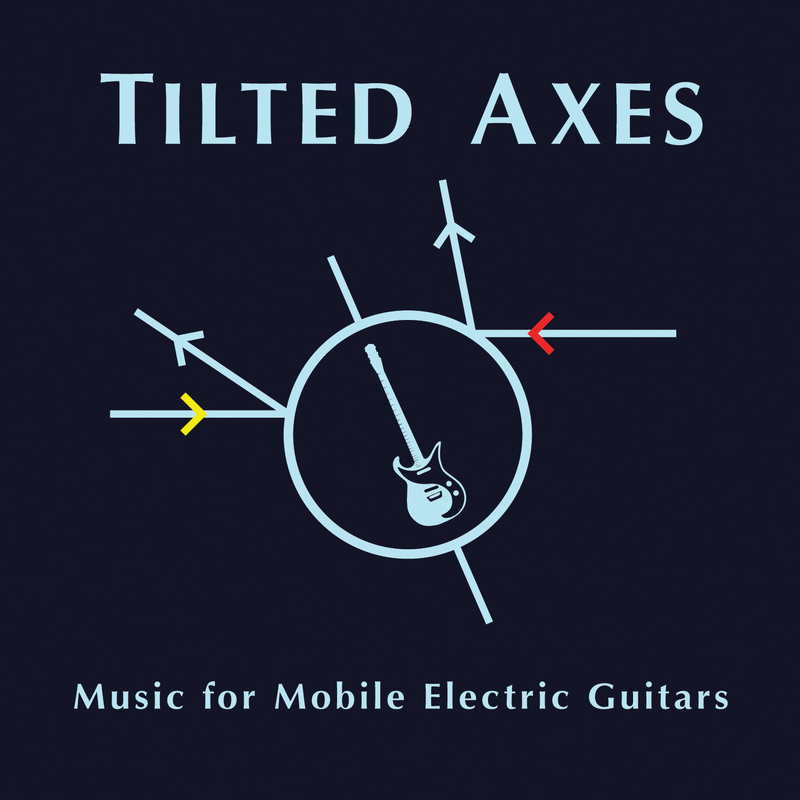 Tilted Axes is the pet of guitarist Patrick Grant who gathered a team of premier musicians who’ve played together in various settings in the past, but (possibly) never in this ensemble configuration before. The ensemble has put out a debut album titled Music for Mobile Electric Guitars earlier this year. The way I feel about the group is that, I guess, Tilted Axes started as a kind of improvised jazz big-band but with enough rock elements and energy to give them entry to that camp too. The other labels like avant rock, krautrock, psychedelic and prog rock old and new have been added. It’s closer to the truth that the group has defined a genre on their own through the music. Anyhow, Music for Mobile Electric Guitars is still instrumental improvised music. Sometimes so brutal that the headaches threaten, dominated by impressive energetic drums and bass, glowing guitar parts and atmospherics. But the band also knows when to calm down, relax and create beautiful lyrical soundscapes. As far as I can hear, this cannot be all improvisation; at least there has to be some planning in advance when to calm down or heat up things. Most of time the band is somewhere in between; seldom really melodic and never pure noise. I am particularly fascinated by the tracks where the calmer parts dominate more than usual. The opening track “Shapes 1″ starts alarmingly melodic with rhythm section passage to a layered guitarwork with hints towards King Crimson. There are so many other moods and sounds involved here that it would take me a huge chunk of time to elaborate. You name a music style and Tilted Axes will give you an answer on that. With style. The interplay between the group members sets the foundation for everything else that’s going on, and that is the band’s continuous exploring of vast and unknown of sound. They are indeed on a look for the right tones, and without doubt they succeed in reaching and putting them right where they belong. Music for Mobile Electric Guitars is an album that sneaks from behind; it’s melodic and experimental, but most importantly it’s an album where the band doesn’t loose any of its edge. A very fascinating record that asks for time, and time is something we definitely don’t lack of.